When you think of a machete, the most immediate image that comes to mind is a long handled knife with a near to equally long blade. Yet, if you were to have a more accurate depiction, it would be of an image of a weapon that is a mix between an axe and a knife. Actually, you might be surprised to discover that there are different types of machetes made for specific uses. 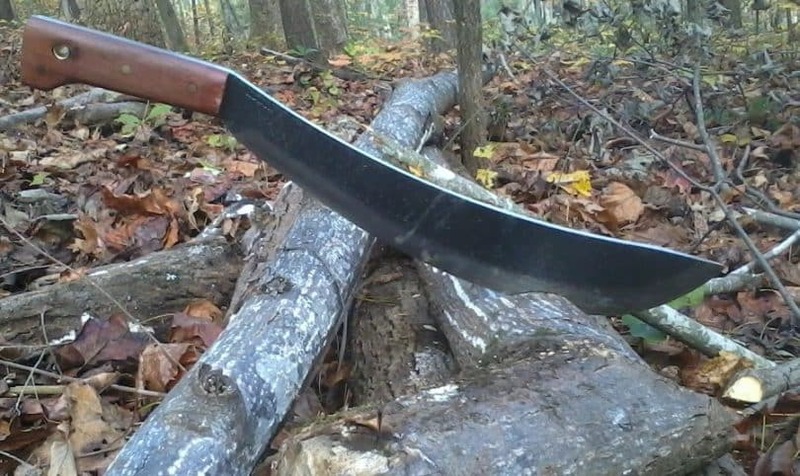 Even survivalists covet machetes, which can serve as an exceptional tool out in the wilderness. Considering some of the features of machetes objectively may help you in identifying the weapon you need. Machetes have a number of practical uses. These weapons serve a purpose in survival situations, agricultural uses, and even offer uses for landscaping and practical purposes. 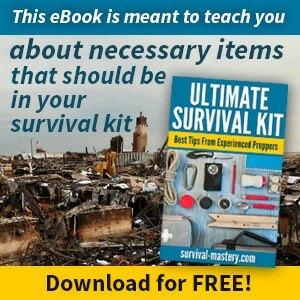 Below are a number of tasks you can complete with the right machete serving as your tool. Crop Harvesting: The machete is useful when it comes time to harvest crops. The crops one uses a machete to harvest typically includes oats, buckwheat, barley, millet, rye, corn, sugar cane, rice, and more. The Barong, like the Cold Steel model number 97BAM18S, is sometimes called the rawit or moro barong. This blade is one with a blade that is shaped like an elongated leaf, and the tip of the knife is pointed at the pussak. One side of the blade is curved, with the Dulag or back edge of the blade featuring a lesser curve than the curved blade. The Puhan or hilt of the blade is curved at the end. The Barong machete is used by people in the Philippines. The weapons typically measure about 56 centimeters in length and feature blades measuring anywhere from 20 to 56 centimeters long. The Barong will often feature a wood scabbard and the hilt will be made out of Caraboa horn or Ivory. A lacquered cord is often wrapped around the weapon’s hilt and this machete is known for its thick blade. 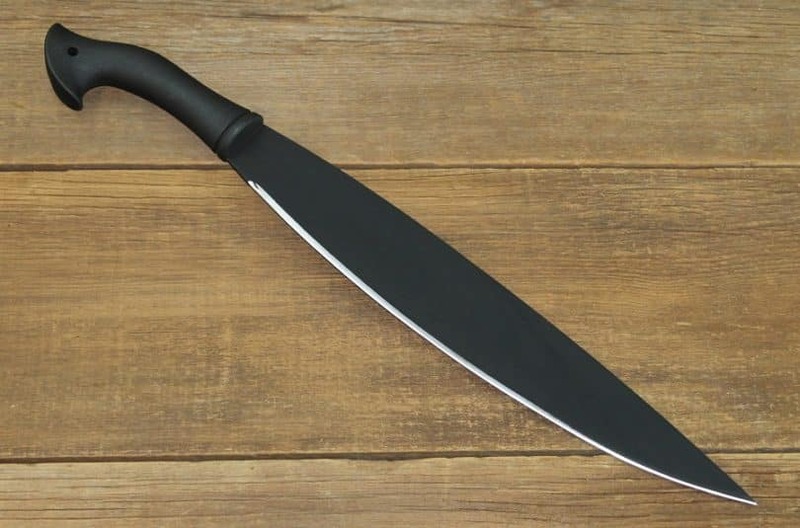 This blade is more than a mere utility knife, it is a weapon that the people of the Philippines use in Silat, Eskrima, and Kali forms of the martial arts. 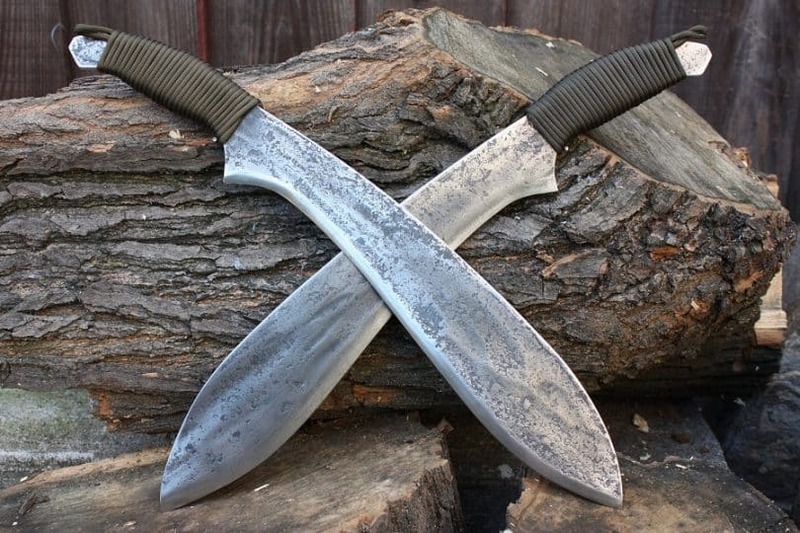 The alternative titles for the Billhook machete are myriad and include the Woodman’s pal, trimming hook, sheaf hook, reaping hook, coa, bush knife, bill hook, and bagging hook. The knife is so called because its blade curves downward just like the bill of a bird. The billhook is a forestry and agricultural tool ideal for cutting through branches, shrubs, and smaller, woodier, dense materials. The BillHook is an excellent tool if you are looking for something that will make the process of snedding easier: This involves cutting the buds and side shoots from a branch. The innermost curve of the blade is sharp thereby making it suitable for cutting away at brambles and vines. The Billhook has so many practical uses, including the shaping and maintaining of hedges. 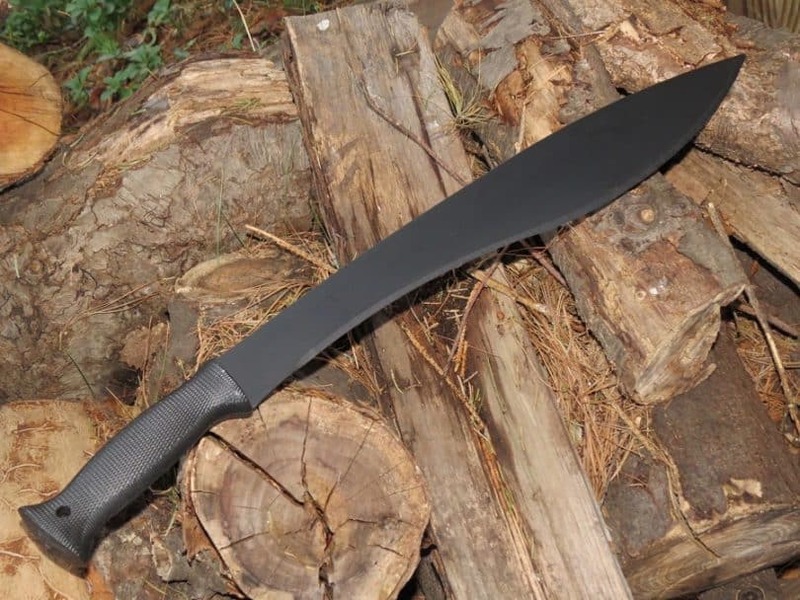 Forgecraft USA makes a BillHook Machete with an 8.5 inch long blade. The weapon ranges in price from $17.50 to $21.85. The blade is made out of high Tensil bomb-shell grade Steel materials. The weapon gains maximum strength from having enduring the appropriate heating process during the manufacturing process. A hanging hole allows for ease of storage. The entire length of the blade and tang is 13 inches. This machete is perfect for log stripping, trail cutting, and bush clearings. The handle features an ergonomic design for ease of handling and good grip. The Bolo Machete, sometimes called the Rawit, is a blade originating from the Philippines. This knife has been used in a number of wars including World War I and II, the Philippine American War, and the Philippine Revolution. The Bolo has a convex blade that is single edge. The hilt is often made of caribou horn or hardwood materials. This blade is an agricultural tool used for harvesting crops like peanuts, soybeans, mungbeans, and rice as well as cracking open coconuts. These blades have a center of gravity that is higher toward the end of the blade thereby allowing the weapon to provide more power when it is used for chopping purposes. If the bolo has a rounded tip it is best used for gardening purposes. If the weapon is less wide and longer than the common bolo machete, it is a combat weapon. Condor Makes an Engineer Bolo Machete featuring a 15 inch long blade. This exquisite weapon is priced at $61.43. it has a full 111 sculpted vents. The blade is made out of 1075 5mm high carbon stainless steel materials. The handle is made of hardwood, and it comes complete with a brown colored, leather sheath to protect the blade when not in use. Bowie knives are quite popular and the same goes for the Bowie Machete. This weapon is coveted by the survivalist looking for a light, portable, but powerful blade. One such example can be found in the Cold Steel Bowie Machete model 97BWM12S. The unit comes complete with a sheath. 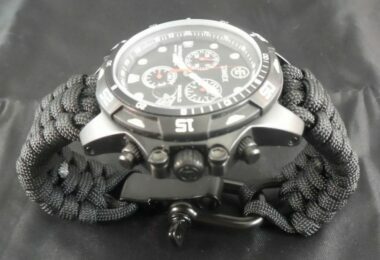 It is priced between $15.99 and $18.93. See our reviews on the best bowie knives for your survival needs. The weapon is imported and hosts a blade with a thickness of 2.8 mm. The sheath is made of Cor-Ex, and the weapon is a 1055 carbon steel machete hosting anti rust properties to protect the blade and a comfortably designed black baked handle. 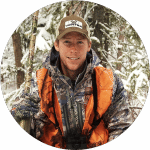 The unit only weighs 14.3 ounces in all so it is easy to tote around in the backwoods if necessary. The handle of the weapon is made with polypropylene materials and measures 5 5/8 inches long. The entire length of the Bowie Knife is 17 5/8 inches. The knife is excellent at chopping as well as slashing. Since the point of the blade is clipped, it also makes for an exceptional piercing weapon. The Bush machete is a weapon known by a variety of names. One of the most common alternative names for the blade is the Latin Machete. The Gerber Gator Machete is one such example of this weapon and it is priced at $29.78. The weapon has a blade featuring a long, straight design and a full tang. 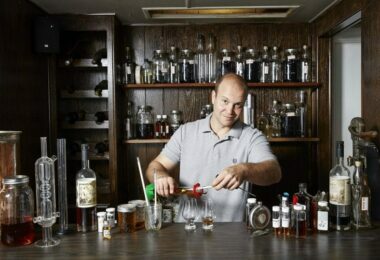 The weapon is fairly stout and weighs evenly. The machete is easy to transport if put in an appropriately sized protective sheath. 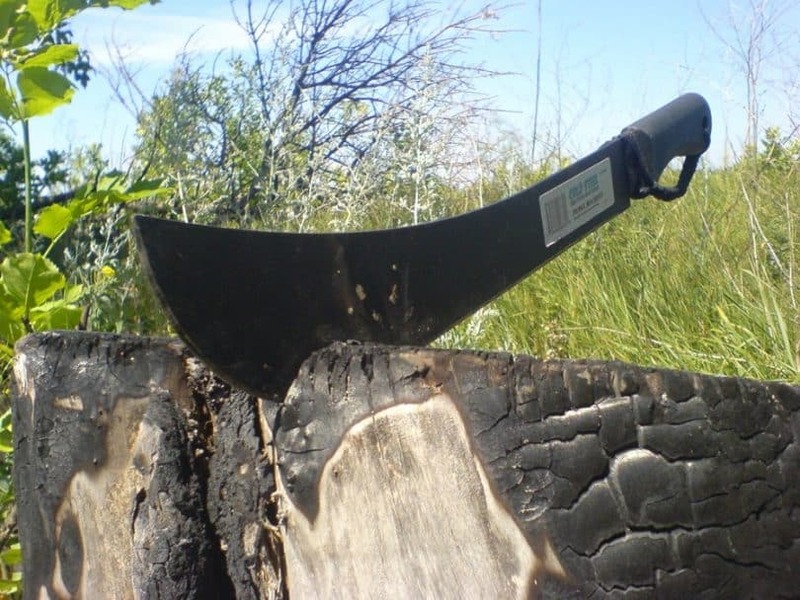 The weapon is excellent as a utility tool or for chopping away excessive vegetation. The Latin machete is the blade of choice for the United States Military: Reason being as the blades are light and powerful while producing minimal fatigue when in use. This weapon proves useful in just about every kind of environment. However, if you are in need of a weapon with some real power, the Panga and the Bolo are machete options that pack more power than the Bush machete. Unlike the Panga, the Bush machete does not have a tip in the True Spear Point design. For more tougher task at hand, see our article on the best survival axe, tomahawks and other bushcraft tools. While not suitable for heavy duty chopping, you can use the Bush machete to cut through vegetation and growth that is roughly three inches thick. You will find the Bush style machete can cut through a sapling measuring three or four inches in diameter with ease. If you are working at cutting away debris, briars, and underbrush, the Bush machete is a perfect choice. The Kukri, also called the magnum khukri, gurkha kukri, khukuri, or bush hog, is a machete with an amazing design. This weapon comes from central Asia, particularly regions like Pakistan, India, and Nepal. The Kurkri is both a tool and a weapon used for self-defense. The blade has three sections with one suited for chopping materials, another suited for carving and whittling tasks, and with the third section suited for stabbing. The Kukri can vary in terms of the degree of the blade curve, the thickness of the blade, and the length of the handle and blade. 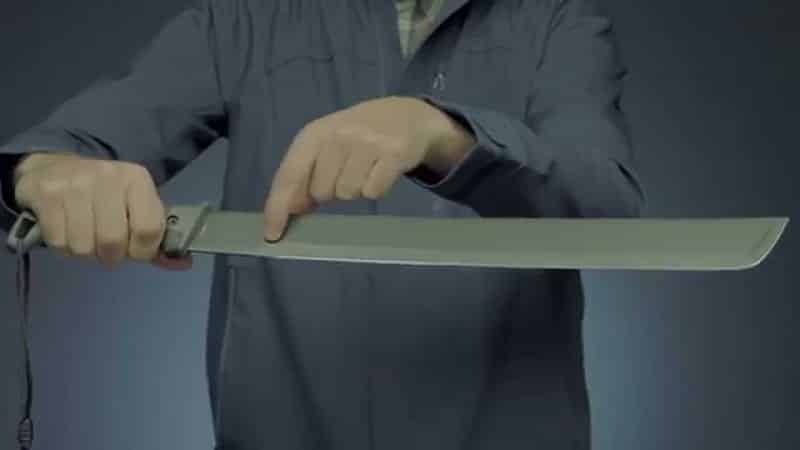 Usually, the spine of the knife measures between five and ten millimeters at the knife’s handle, and this can then taper to about two millimeters by the knife’s point. The length of a Kukri’s blade might vary between 26 and 38 centimeters. Those machetes made for general purposes can be as long as 45 centimeters and weigh up to two pounds. Cold Steel makes an attractive Kukri that is priced around $30.53. The blade of the knife measures about 2.8 millimeters in thickness. The handle of the Kukri measures five inches and it is made out of durable Polypropylene. The entire knife measures over a foot and a half in length. The blade has an anti rust matte finish and it is made of 1055 grade carbon steel. The blade measures just over one foot in length. This Kukri is sold with a sheath to protect the weapon as well. 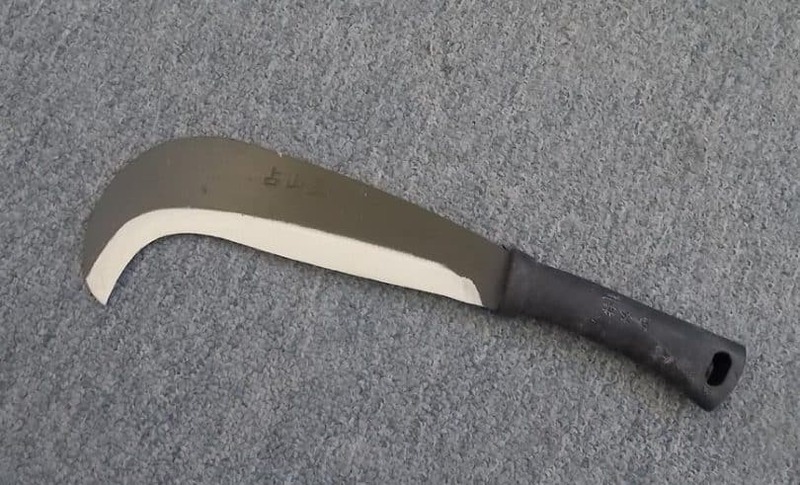 The Panga Machete is a weapon that is commonly found in use in the Caribbean and Africa. The knife blade is wide and weighted to ensure enough chopping power, and the blade works well for pierce, thanks to the inclusion of a pointed tip and curved blade. If you plan to use the blade on grass, the thinner blade version of this knife is recommended. For all other seasons, the wider knife is an exceptional option. 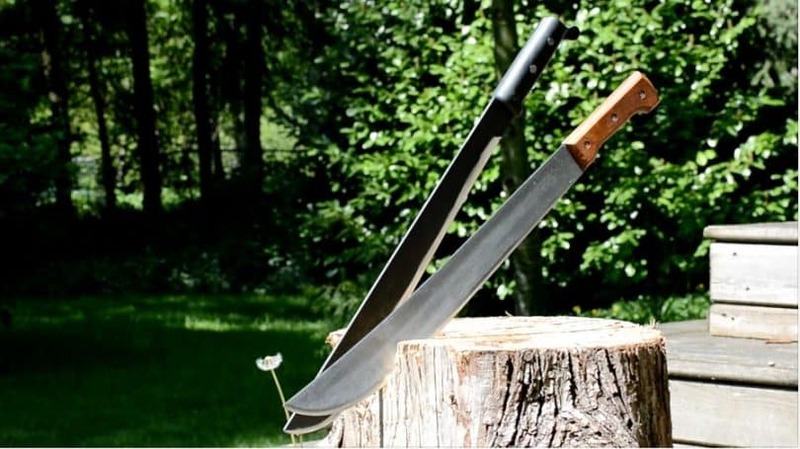 The Panga is an ideal tool for dealing with wood vegetation, chopping, and slicing. Alternative titles for the weapon include Viking, Swamp Master, Rozador, Liniero, Daga, Cutlass Machete, and the Burriquito. Cold Steel sells model 97LPM, which is a highly attractive and useful Panga Machete. The knife is sold without a sheath so you will have to purchase one separately. It is priced between $10.99 and $12.99. The machete has a blade made out of 1055 grade carbon steel and it is finished with an anti-rust matte finish to protect the blade. The length of this weapon is 23 5/8 inches with the handle measuring 5 5/8 inches. 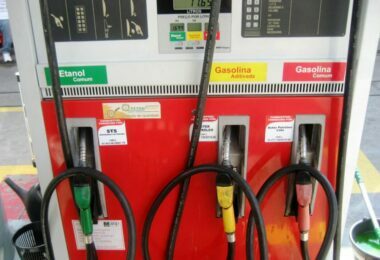 The handle is also made of polypropylene to ensure its longevity and good grip when it is in use. The blade on the Panga knife is 2 millimeters thick. For a full article of the kinds of machetes you need for survival, click on the topic of our popular post. As you explore the different types of machetes on the market today, it gives you an opportunity to see the unique styles of knives and to consider the use of the blade before buying. Your choice in a weapon will have to be based on features, the capabilities of the machete, and whatever you plan to use the weapon. You will most likely find some machete types that overlap in terms of what uses they are good for, so you may have multiple choices of a quality machete for the purpose you seek. Lastly, you will find that many of today’s machetes are reasonably priced and it is therefore easy to fit a purchase into your budget. 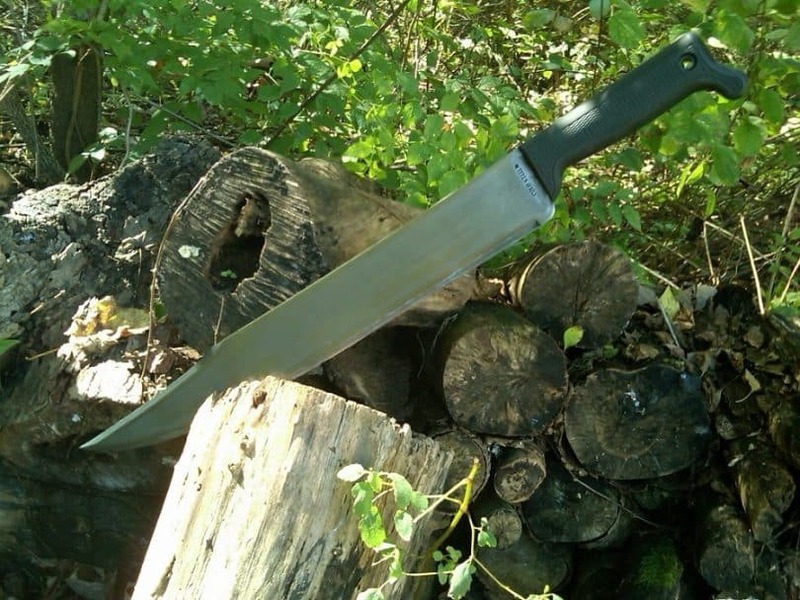 See our reviews of the best survival machetes to give you more helpful options.